The season finale of The Flash was a few weeks ago and it left a few answers and many questions. 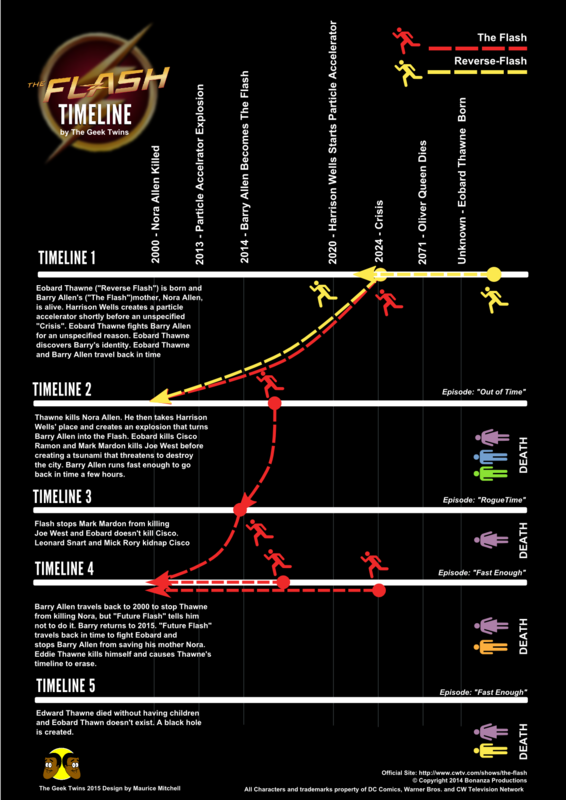 To try and sort it out here is an infographic I made that outlines everything we know about the multiple timelines on the show. Since it contains MASSIVE SPOILERS I'll warn you that if you haven't watched the show you should before reading further. On the show, Barry Allen (Grant Gustin) and Reverse-Flash (Tom Cavanagh) are able to run fast enough to travel through time. This was hinted at from the beginning of the show. "We, obviously, hint at it from the pilot episode," executive producer, Greg Berlanti told TV Line. "That is a big -- 'theme' is the wrong word for it -- but that is a big part of the DNA of who The Flash was, so we do deal with that." Throughout the season several alternate timelines were created that changed the world we know. 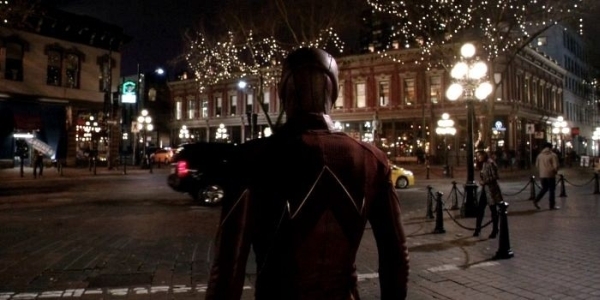 What do you think of the alternate timelines of The Flash? Is there anything we missed? How did you feel about the season? Thought it was great! And glad Cisco didn't really die. Wonder how many more timelines they will create before it's over? 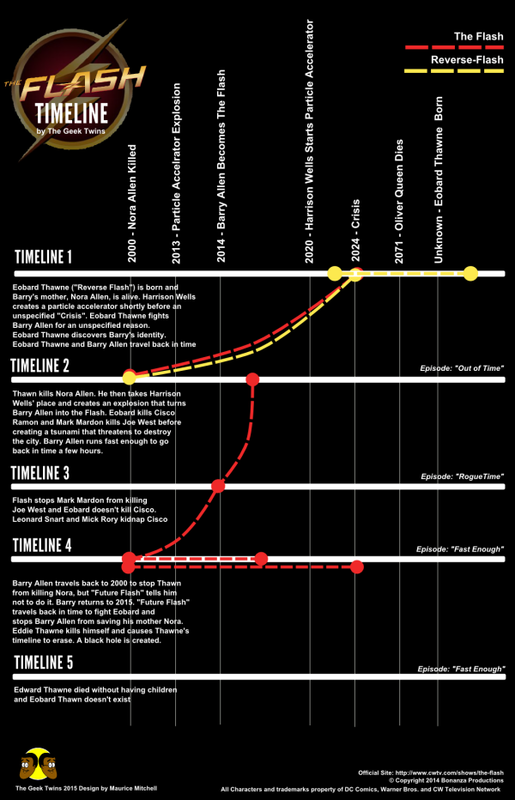 The Flash fans will love this infographic. It's going to get really confusing.